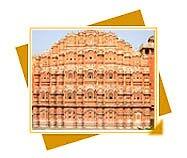 India ground of kings and Maharajas and with royalty comes royal palaces and forts. Most of the fort and palaces in India have been changed into heritage hotels now one can enjoy living like maharajah or maharani while staying at these hotels. India has a prosperous cultural past and this is reflected through the numerous forts, palaces and other monuments in the country. 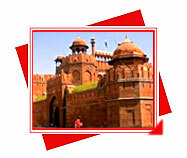 In North India fort & Palaces Tour, there are many forts, monuments and palaces covers in the north India. 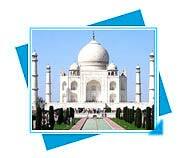 The "Taj Mahal", which is one of the beautiful monuments of the world, is among the "Seven Wonders of the World". 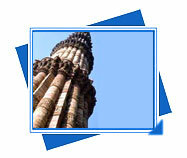 The Qutub Minar, Qutab-ud-din Aibak, the first Muslim ruler of Delhi, commenced the construction of the Qutab Minar in 1200 AD, but could only finish the basement. His successor, Iltutmush, added three more storeys, and in 1368, Firoz Shah Tughlak constructed the fifth and the last storey. 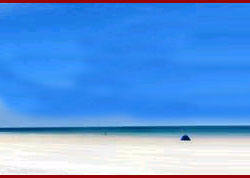 The development of architectural styles from Aibak to Tughlak is quite evident in the minar. The relief work and even the materials used for construction differ; Red Fort, The Red Fort, One of the most spectacular pieces of Mughal structural design is the Lal Quila or the Red Fort. Built by the Mughal emperor, Shah Jahan between 1638 and 1648, the Red Fort has walls extending up to 2 kms; Jaisalmer Fort, Deep in the heart of the Thar Desert is Jaisalmer, one of the last princely bastions in the region; Hawa Mahal, Built in 1799, by Maharaja Sawai Pratap Singh the 'Hawa Mahal', Palace of the Wind, is one of the major landmarks of Jaipur; and City Palace of Jaipur, This former royal residence is an imposing blend of traditional Rajasthani and Mughal architecture and craftsmanship; are the amazing forts and palaces in the North India. 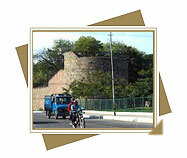 The Fort of Salimgarh is closest to the Lal Qila across the Ring Road. It was built by Sher Shah Suri's son Salim Shah. 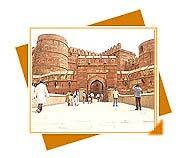 The city of Siri was the second city of Delhi built by Ala-ud-din Khilji in 1311 AD. 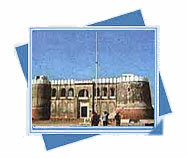 The fort had the Palace of Thousand Pillars, which is now in ruins. Only the embattlements have left of the entire fort. 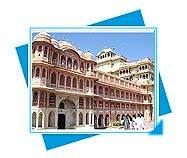 This former royal residence is an imposing blend of traditional Rajasthani and Mughal architecture and craftsmanship. Built in 1799, by Maharaja Sawai Pratap Singh the 'Hawa Mahal', Palace of the Wind, is one of the major landmarks of Jaipur. 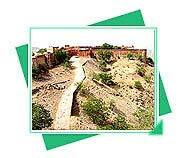 Also known as the fort of victory, Jaigarh Fort is a rugged structure built in 1726 by Sawai Jai Singh. 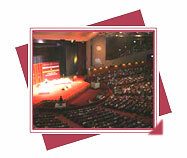 It was the royal treasury for several years. This place has a number of historical Gurudwaras, with a backdrop of Naina Devi Hill. Construction of the massive red sandstone Agra Fort on the bank of the Yamuna River was begun by Emperor Akbar in 1565, though additions were made up until the rule of his grandson, Shah Jahan.